eGenix is pleased to announce the immediate availability of eGenix mxODBC™ 3.2.1 - Python ODBC Database Interface, with support for Python 2.4 - 2.7 on all major platforms. The next SQLAlchemy release will be fully compatible with mxODBC 3.2.1. Many thanks go to Michael Bayer for working with us to make this happen. Added a work-around to prevent truncation warnings with the SQL Server ODBC driver when using .executemany(..., direct=1). Switched to unixODBC 2.3.1+ API: mxODBC is now compiled against unixODBC 2.3.1, which finally removes the problems with the ABI change between 2.2 and 2.3 by switching to a new library version (libodbc.so.2). mxODBC connection objects can now be used as context managers to implicitly commit/rollback transactions. mxODBC added support for adjustable .paramstyles. Both 'qmark' (default) and 'named' styles are supported and can be set on connections and cursors. The 'named' style allows easier porting of e.g. Oracle native interface code to mxODBC. mxODBC now supports a writable connection.autocommit attribute to easily turn on/off the connection's auto commit mode. mxODBC added support for adjustable TIMESTAMP precision via the new connection/cursor.timestampresolution attribute. mxODBC will round to nearest nanosecond fraction instead of truncating the value. This will result in fewer conversion errors due to floating point second values. mxODBC's connect APIs Connect() and DriverConnect() support setting connection options prior to connecting to the database via a new connection_options parameter. This allows enabling e.g. the MARS feature in SQL Server Native Client. The connection.cursor() constructor now has a new cursor_options parameters which allows configuring the cursor with a set of cursor options. The .scroll() method supports far more ODBC drivers than before. Updated the SQL lookup object to include more ODBC SQL parameter codes, including special ones for SQL Server and IBM DB2. mx.ODBC.Manager will now prefer unixODBC over iODBC. Previous mxODBC releases used the order iODBC, unixODBC, DataDirect when looking for a suitable ODBC manager on Unix platforms. unixODBC is more widely supported nowadays and provides better Unicode support than iODBC. Added work-around for Oracle Instance Client to prevent use of direct execution. cursor.executedirect() will still work, but won't actually use direct execution with the Oracle driver. Added work-around for Oracle Instant Client to prevent segfaults in the driver when querying the cursor.rowcount or cursor.rownumber. Added check to make sure that Python type binding mode is not used with Oracle Instance Client as this can cause segfaults with the driver and generally doesn't work. Added a work-around to have the IBM DB2 driver return correct .rowcount values. Improved Sybase ASE driver compatibility: this only supports Python type binding, which is now enabled per default. Added work-around for PostgreSQL driver, which doesn't support scrollable cursors. Improved compatibility of the mxODBC native Unicode string format handling with Unix ODBC drivers when running UCS4 builds of Python. mxODBC 3.2 now always uses direct execution with the FreeTDS ODBC driver. This results in better compatibility with SQL Server and faster execution across the board. Add work-around to have FreeTDS work with 64-bit integers outside the 32-bit signed integer range. FreeTDS' .rowcount attribute gave misleading values for SELECTs. This now always returns -1 (until they hopefully fix the driver to return usable data). The low-cost Standard Edition which provides data connectivity to a single database type, e.g. just MS SQL Server. Compared to mxODBC 3.0, we have simplified our license terms to clarify the situation on multi-core and virtual machines. In most cases, you no longer need to purchase more than one license per processor or virtual machine, scaling down the overall license costs significantly compared to earlier mxODBC releases. Customers who have purchased mxODBC 3.2 license can continue to use their licenses with this patch level release. Customers who have purchased mxODBC 2.x, 3.0 or 3.1 licenses, can benefit from upgrade discounts. We will give out 20% discount coupons going from mxODBC 2.x to 3.2 and 50% coupons for upgrades from mxODBC 3.x to 3.2. After upgrade, use of the original license from which you upgraded is no longer permitted. 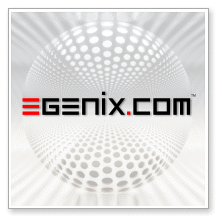 If you want to try the new release before purchace, you can request 30-day evaluation licenses by visiting our web-site or writing to sales@egenix.com, stating your name (or the name of the company) and the number of eval licenses that you need.